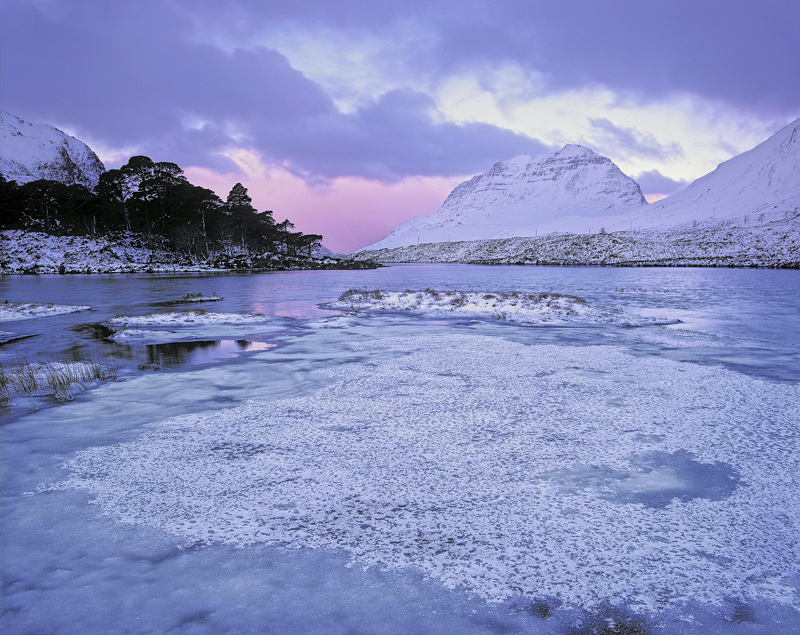 The twilight blue of pre-dawn light eventually matured and a pink wedge of sky became visible near the horizon along the length of the glen. With all the ice and snow around light management became that little bit easier and I was free to concentrate on choosing the moment. I was delighted when the pink light spread out and eventually squeezed a necklace of colour around both sides of Liathach and when I was able to enclose the lighter gap in the clouds near the summit of the mountain completely I took my chance.